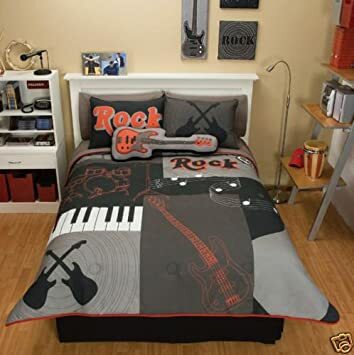 Home Kids Room Decor Fun Kids Themed Rooms Archive by category "Guitar Bedroom Decor"
Remember when you first got into music? It was so exciting…and that’s how any kid who discovers the guitar feels about everything related to this most expressive of instruments. 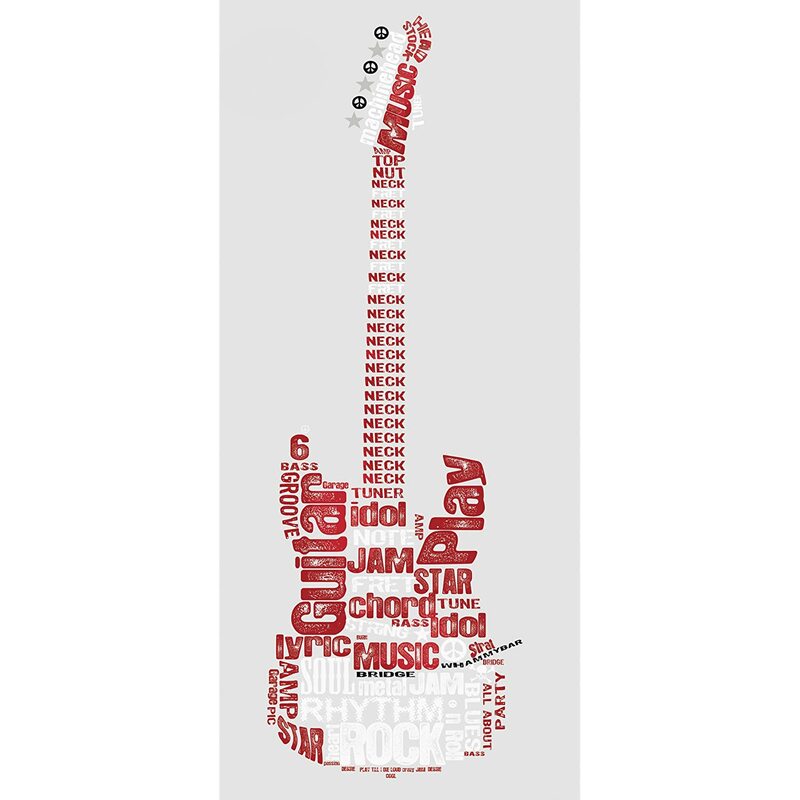 Scroll down this collection of guitar decor for any kids room….you’ll find the coolest accessories for kids from toddler to tweens. Slick wall graphics, bed spreads that rock & a few accessories that are pure sound…what a perfect way to decorate! 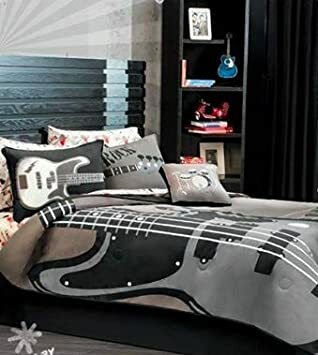 Once you pick a groovy bedroom design all you need is a few well placed accessories to make your guitar theme pop. 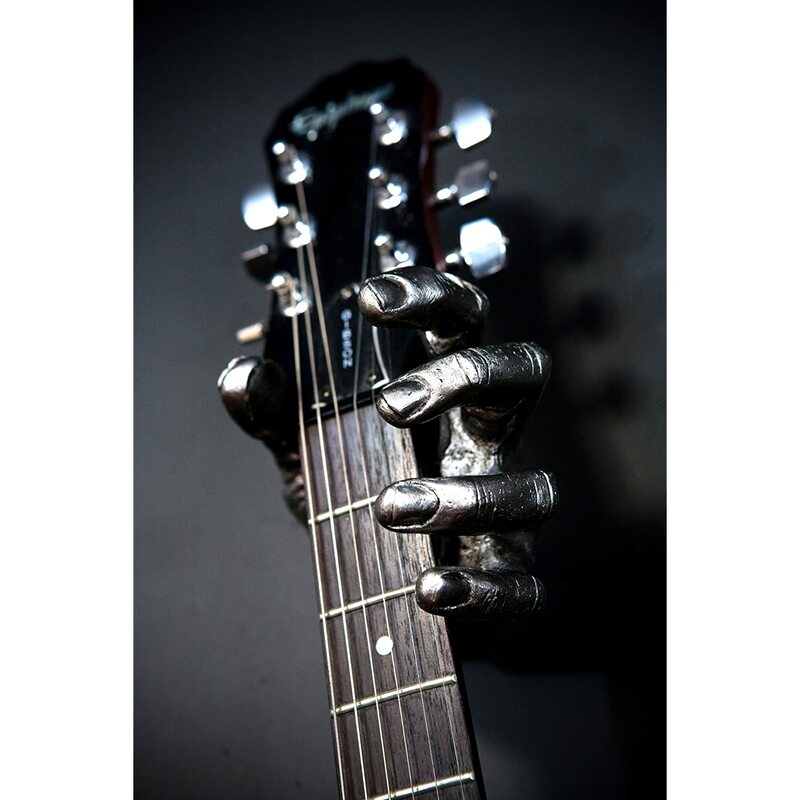 An outrageous guitar wall hanger that looks like a hand, a wicked wall decal or even a well place trinket box with the perfect fretboard feel. 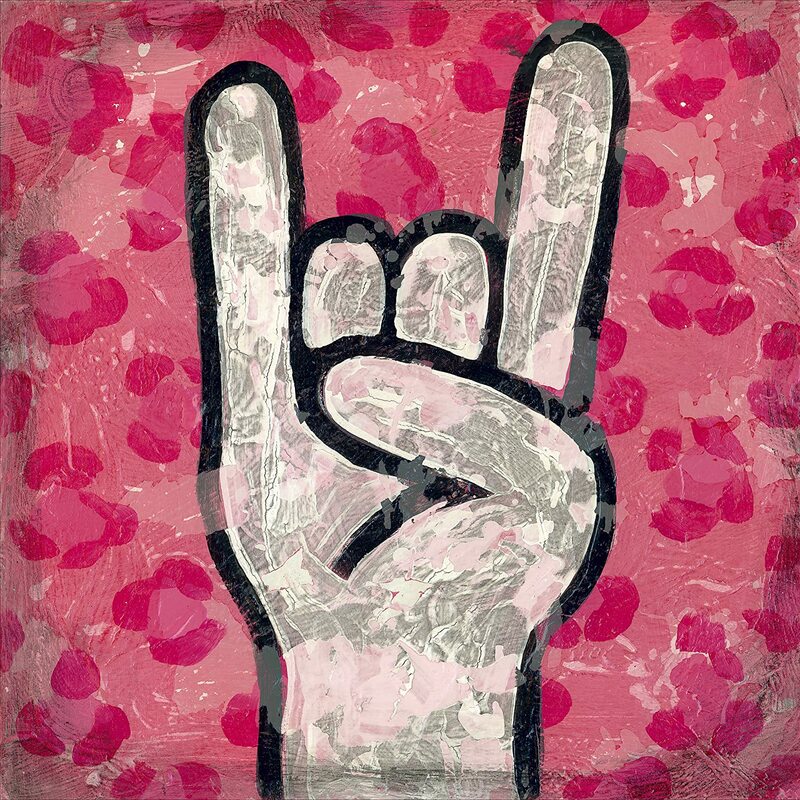 Rock Guitar Peel and Stick Giant Wall DecalBuy It! Hendrix Guitars Removable Panoramic Wall MuralBuy It! 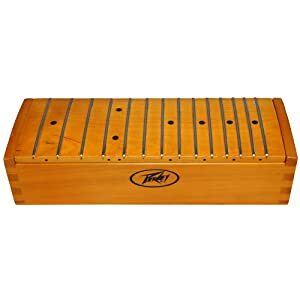 Peavey Maple Accessory BoxBuy It! Grip Studios Metal Mayhem Custom Guitar GripBuy It! 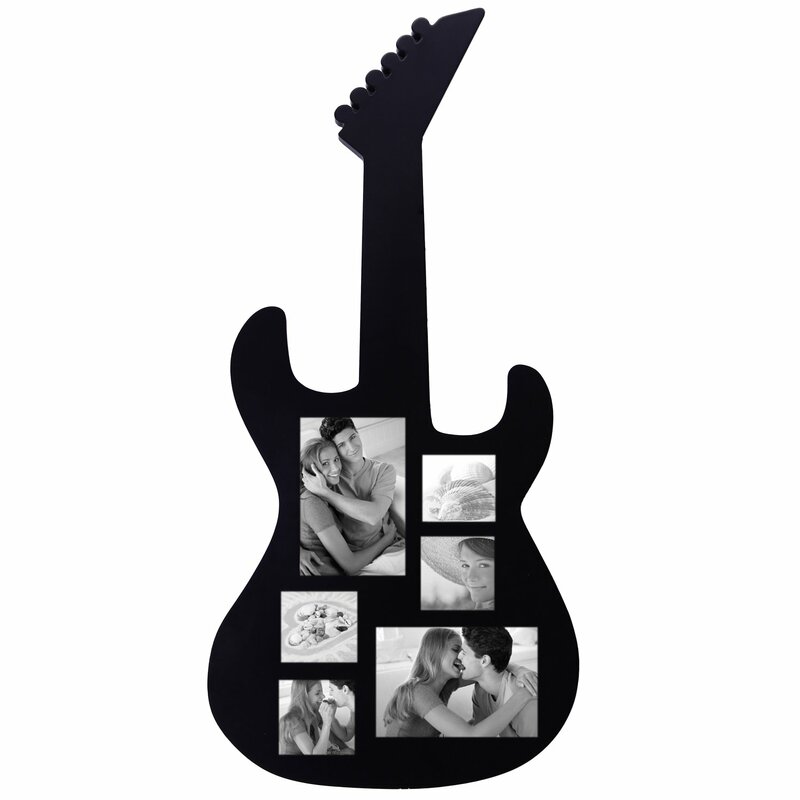 Pull some of those photos off their mirror & display them with style in this funky guitar photo frame. It holds 6 pictures & has a fun vibe your kids will adore. 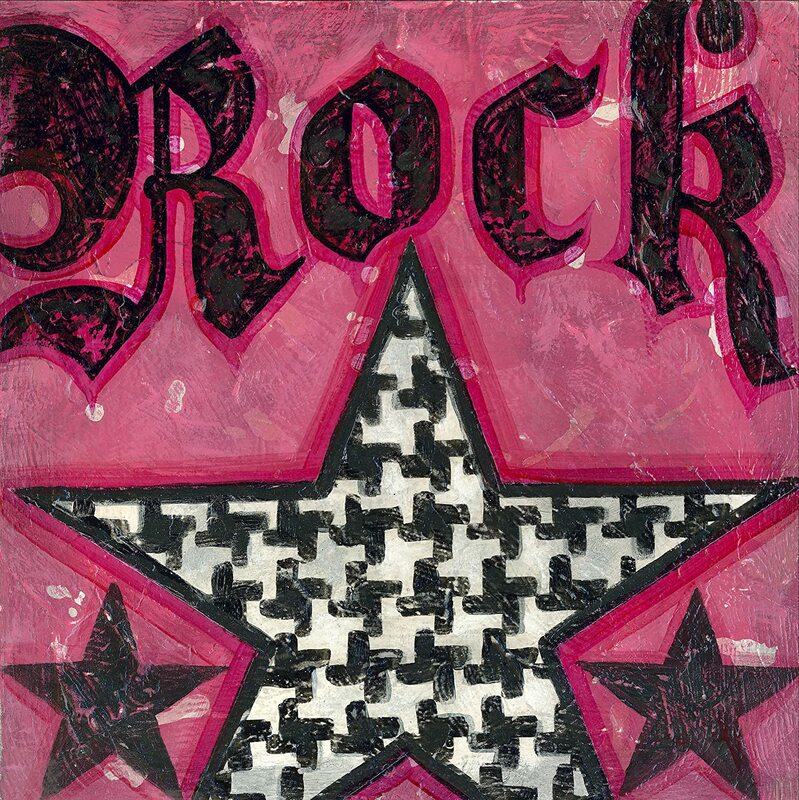 6 Openings “Guitar” Picture Collage FameBuy It! Nothing changes the feel of a bedroom quite like a new bedding set. 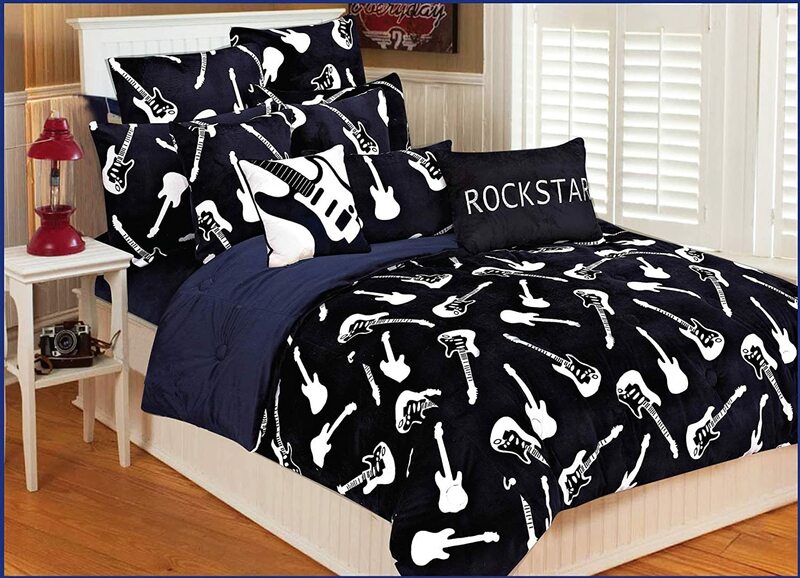 Transition your little kids into a tween or teen with this fabulous guitar themed bedding. You little rock star will actually crack a smile…maybe. Thro by Marlo Lorenz Full/Queen Guitar BeddingBuy It! 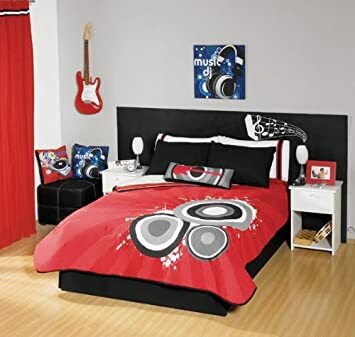 Red Black Guitar Comforter Bedding Set Full/QueenBuy It! Grey Red Guitar Comforter Bedding Set Full/QueenBuy It! Gray & Purple Plaid Guitar Rockstar Full / Queen Comforter SetBuy It! 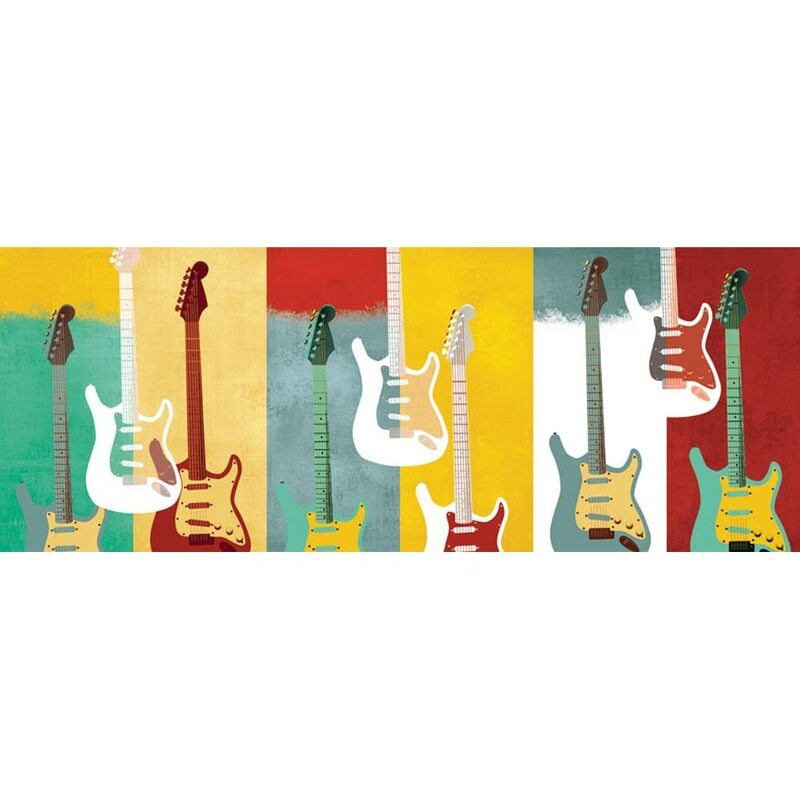 Get your tween or teen the decor they will really like with this fun collection of guitar themed decor…from wall art to bedding your sure to find the perfect accessory for that teenager lifestyle. 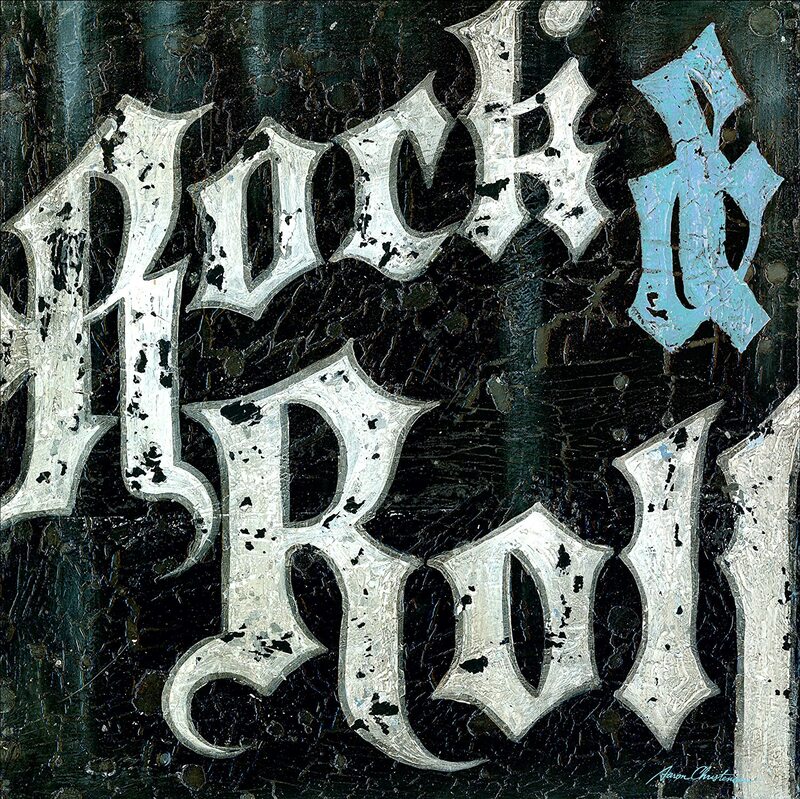 Oopsy daisy I Love Rock & RollBuy It! 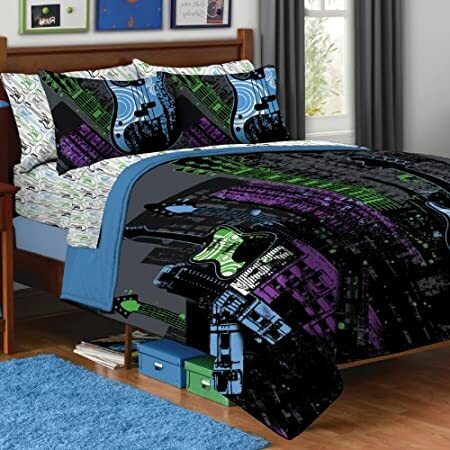 Guitar Rock Music Full Queen Comforter SetBuy It! Blue Q Tin BankBuy It! This cute tatty teddy bear is sure to livin’ up your kids decor…and That funky guitar is perfect for any kid with a flair for music. 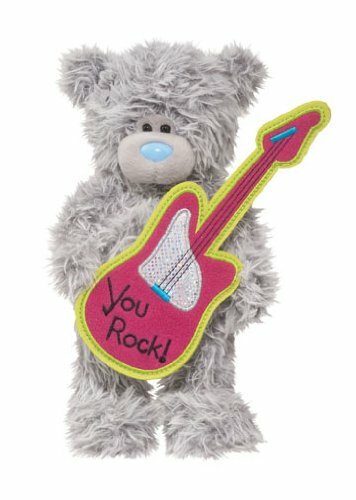 9” Plush Tatty Teddy You Rock! BearBuy It! Saving money doesn’t have to be boring! 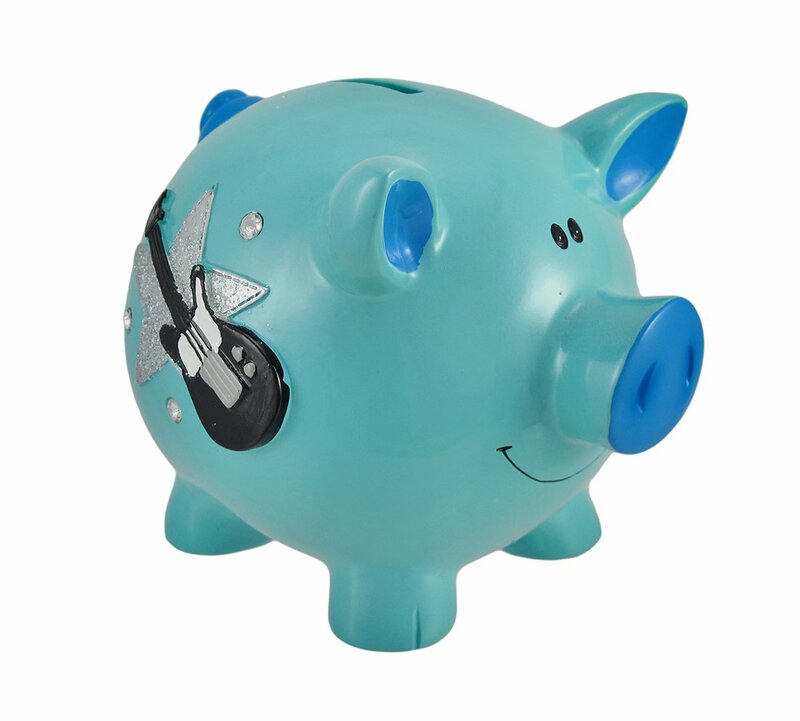 This cute piggy bank is blue & adorned with a groovy guitar & blinged up with rhinestones. 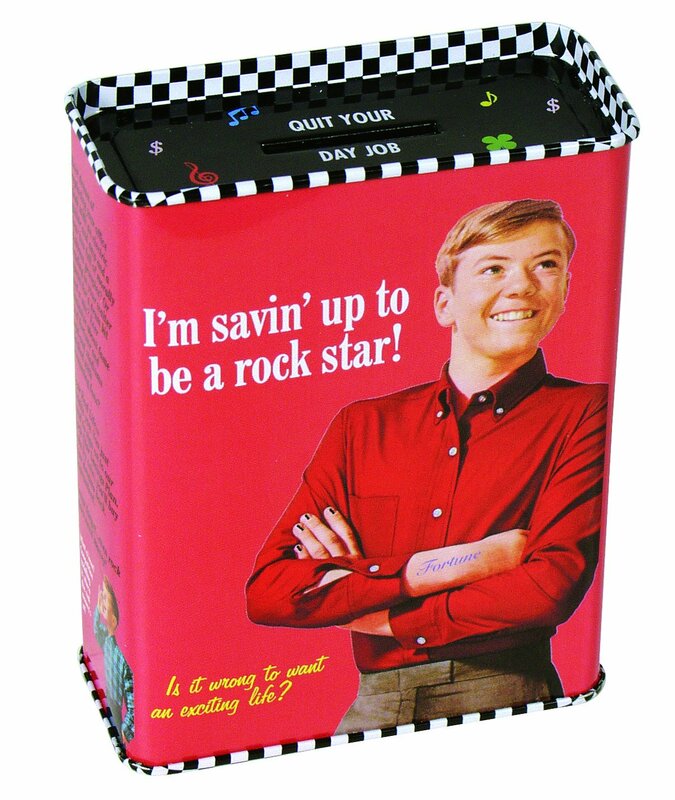 Blue Rock Star Piggy Bank with RhinestonesBuy It!